Samajwadi Party will stage a state-wide protest over the 'deteriorating' law-and-order situation in Uttar Pradesh, on May 29. Announcing the protest, SP's chief spokesperson Rajendra Chaudhary on saturday said that his party will protest against the BJP-led UP government, which was trying to "terrorise' different sections of the society. "The BJP is trying to terrorise different sections of the society. 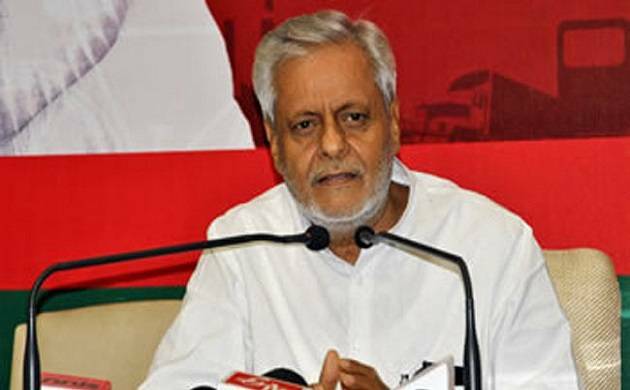 All the office bearers and party workers of the Samajwadi Party will register their protest in every district of the state on May 29 to protest against the deteriorating law and order situation in the state," said Chaudhary. He said that they would also hand over a memorandum to Governor Ram Naik to bring to his attention to the "anti- people policies" of the BJP government. Chaudhary also targeted the central government and said it had "scaled the summit of failure" in the last three years. "In the last three years, the central government has scaled the summit of failure, while in the 70 days of the Yogi Adityanath government in UP, the law and order situation in the state appears to be rather grim," he said.